Last night, Boston-based dream-folk singer-songwriter Marissa Nadler performed at the Rock & Roll Hotel, and it was a special show for DC, since local cellist Janel Leppin is in her touring band! (I should say: Janel is her touring band, since it was just the two of them on stage.) As a bonus, the opening act was Janel’s main project Janel & Anthony with guitarist Anthony Pirog. Nadler’s set was heavy on songs from her newest album, July, which was just fine with me since that album is lovely. The videos I’ve posted below are a little hazy– the lighting at the Rock & Roll Hotel makes it hard for my little camera to focus– but that fits just fine with Nadler’s dreamy music. For more ShowlistDC concert videos and photos, subscribe to my YouTube channel or follow me on Instagram. Last night, IOTA Club & Cafe in Clarendon hosted two local rock bands: the solo project Harness Flux (John from Metropolitan/the Cheniers) and the debut performance of Invisible Witches, a trio featuring Joshua Padgett on bass/vocals (from The Chance), David Barker on guitar (from Cobra Collective), and Simon Ley on drums (from many DC bands). Three of their songs are captured below. For more ShowlistDC concert videos and photos, subscribe to my YouTube channel or follow me on Instagram. On Friday night, 27 June 2014, the Howard Theatre was packed for Ginger Baker‘s Jazz Confusion, a quartet made up of drummer Baker (formerly of Cream and Blind Faith), saxophonist Pee Wee Ellis (James Brown, Van Morrison), bassist Alec Dankworth (Dave Brubeck, Mose Allison), and Ghanaian percussionist Abass Dodoo. And it was definitely packed– I’d never seen the Howard’s balcony open before, and it was open for this show (it’s really cool up there!). The show was part of the DC Jazz Fest, which is celebrating its 10th anniversary this year. The quartet played a whole bunch of tunes from Baker’s new album Why? (the same musicians played on the album), which I wrote about as part of a concert preview for the Washington Post which you can read here. Baker definitely seemed his age on stage (you can hear how weathered his voice sounds on the recordings below), even joking that certain songs could do him in (you’ll hear his comment, “This could be the one!” before “Aiko Biaye”– just before I started recording, he’d called it a “Ginger-killer”, and he’d been making comments/jokes about his own mortality all night). 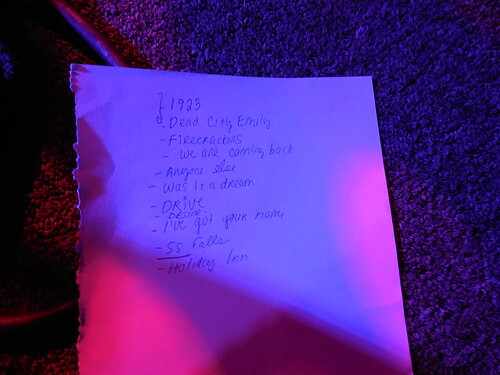 Four videos from Friday night’s show are below; for more ShowlistDC concert videos and photos, subscribe to my YouTube channel or follow me on Instagram. 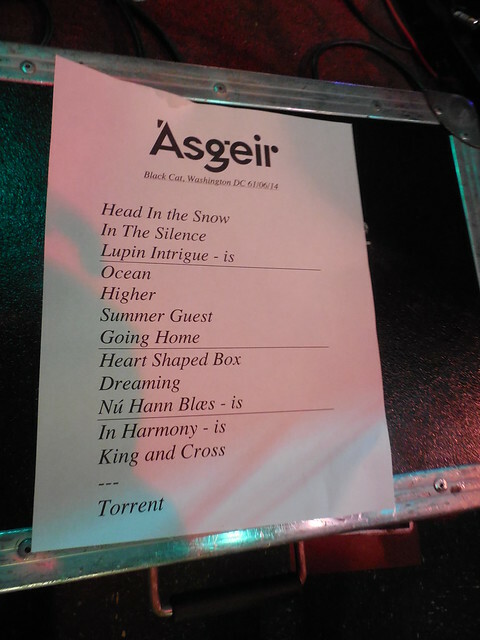 Last night, the Black Cat‘s backstage was sold out for Icelandic singer-songwriter Ásgeir‘s first show in DC. He played a ton of tunes from his debut album In the Silence, plus a new song in Icelandic called “Nú Hann Blæs” and his cover of Nirvana’s “Heart-Shaped Box”. 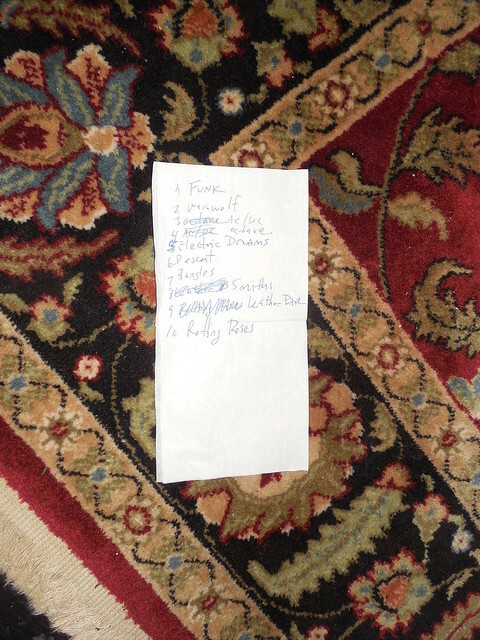 His full set list is below; we also took tons of video of the songs he played last night. For more ShowlistDC concert videos and photos, subscribe to my YouTube channel or follow me on Instagram.